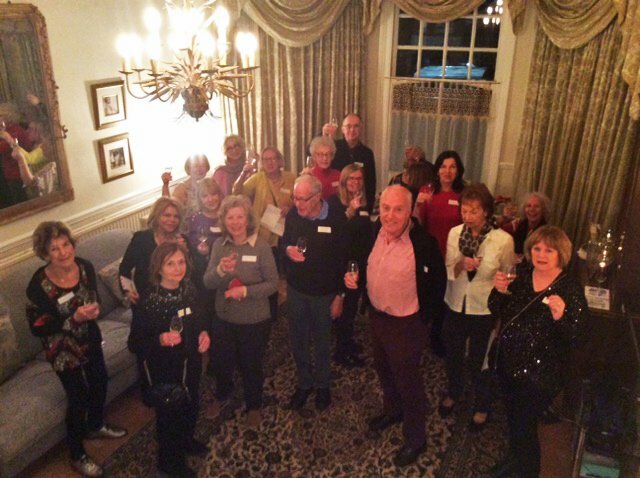 The aim of this Group is to bring wine lovers together, to learn about the fascinating world of wine, spirits and more. The evenings are informative, fun and convivial. This is therapy of the liquid kind! You will learn how to taste and to discover new and unusual wines, as well as appreciating new facts about well-known wines. The tastings are tutored by Luisa Welch, a wine educator who holds the Wine and Spirit Education Trust Diploma in Wine and Spirits. Luisa is also a wine judge at international competitions and a freelance wine writer. 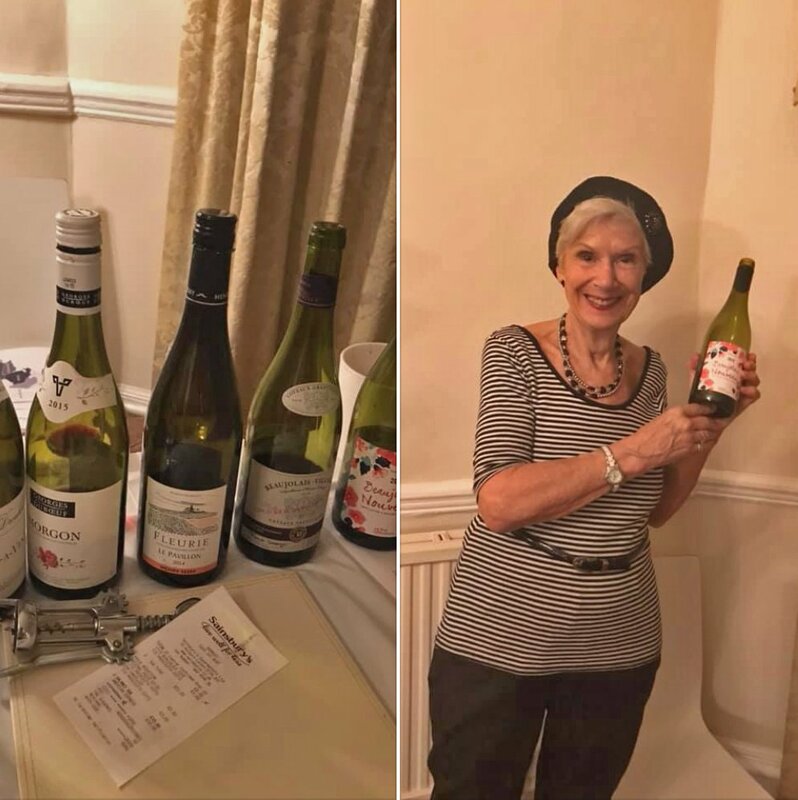 She is supported by Vivienne Smith, who has had a keen interest in wine for many years, has toured many wine regions around the world, and actively attends wine events. The group will meet in Muswell Hill, in the home of Vivienne Smith, who has kindly offered her home to get the Group started. As the Group develops and gets established, the idea will be to rotate the venue. We also plan to offer visits to restaurants, trips to vineyard … and much more. Join us and discover the joys of good imbibing! The cost will be in the region of £15 per person, to include 5 or 6 quality wines for the tasting, plus two bottles for drinking afterwards, when a light buffet supper will be provided by our host. Glasses, jugs, and crackers are all included in the cost. You are invited to bring your own notebook and pen. As costs are incurred in advance in buying the wine and food, it is important that members are prepared to commit to attending regularly. ☐ When : Third Thursday, 7 p.m.
An explosive tasting! Wines from volcanic soils are rich in minerals and have a distinct sapidity like the splendid Atlantis Assyrtiko from Santorini and the Nerello Mascalese from Etna. And that amazing Grecula from Mount Vesuvius which everyone enjoyed. Not to mention the wines from Argentina and Chile, the latter with over 2,900 volcanos – did you know?? Empty bottles, full glasses, and a great supper at Vivienne’s home. 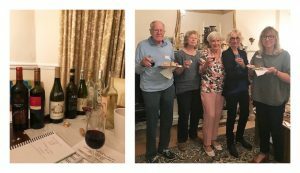 The Wine….and More Group finds ways of beating the winter blues with an outing at restaurant and wine shop Connubio in Muswell Hill. Here is Fabio the owner with convenors Luisa and Vivienne welcoming a very large group, to include both the main and reserve groups, to the tasting. We tasted three indigenous grape varieties from Italy paired with specially selected dishes. A great event to bring event to bring everyone together and enjoy the conviviality of the group. Our fabulous, and I mean Absolutely Fabulous, first tasting of the year. Detox or Retox? We did them both of course! We tasted a range of extra virgin olive oils and members of the group enjoyed learning how to taste olive oil, and discovering nuances of tomato, thistle, artichoke, grass in the oils. We loved detoxing. 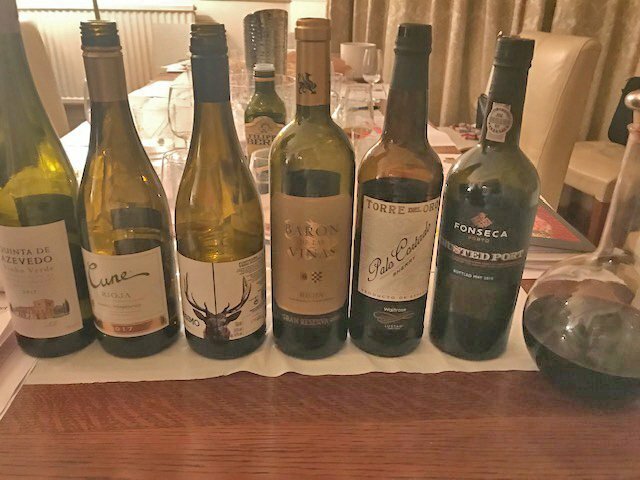 But we soon were into retoxing with rare sherries and rare ports, and warming Spanish and Portuguese wines before a light supper of Spanish inspired dishes. That’s the way to start January for Wine … and More. The Wine…and More Group rang in the festivities with an all-sparkling event, discovering life beyond Prosecco, with a tasting of Champagnes, Cremants, even with a highly rated sparkling from Tasmania, and our own English sparkling wines. All washed down with plenty of festive food! Roll on the new year. Shall we detox or retox??? 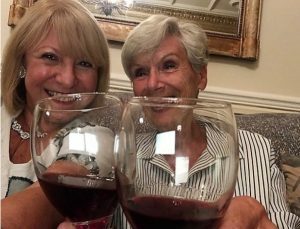 “I knew nothing at all about wine and this Wine and More session was really welcoming to all levels. It was cram packed full of interesting facts on the 8 wines from Italy tasted (drunk! ), both white and red. It helped in understanding my own preferences and also why others prefer different wines. We learnt about why Italian wines are named the way they are, and about the 4 denominations. I am going to Italy in two weeks’ time and now I will be able to choose wines with some proper understanding.” – EH. “I very much enjoyed the event last night, it was informative and pleasurable, and thanks to our host’s warmth and hospitality, and your lively presentation, felt like an evening shared with friends.” – JH. “Thank you for a marvellous instructive and convivial evening. You brought the mysteries of wine to life and even local shops that supply! Vivienne’s supper was delicious. Naturally, I would love to come to the November gathering, so please count me in! Sincere thanks.”- EC.